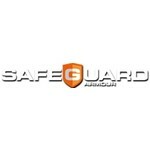 SafeGuard ARMOUR™ The Premium Body Armour Manufacturer and Supplier In The UK. We are master body armor designers and manufacturers. We strive to satisfy clients around the world, offering thousands of companies and individuals access to dedicated European and U.S. manufacturing and distribution capacities. SafeGuard ARMOUR™ understands that selecting the right piece of body armour can be a daunting task. With this in mind, our production manager has written a short yet comprehensive guide to the entire process of ordering from Safeguard Armour, which can be found here. To supplement this guide, we offer further in-depth articles. These cover every aspect of body armour, including proper size selection and fitting, protection levels, types of threat resistance, and materials utilized in armour manufacture. If you would like to talk with us directly, we also have a team of dedicated professionals who will take the time to fully answer any questions you might have. We check and reply to our e-mails regularly during office hours, and answer queries within hours of receiving them. Please contact us at info@safeguardarmour.co.uk or 01138800795. Our focus is on offering straightforward and impartial advice that will assist you in selecting the bullet proof vest perfectly suited to your needs. Here at SafeGuard ARMOUR™, we strictly offer panels produced from DuPont™ Kevlar®. This has proven itself over the last three decades to be the world’s leading protective panel material. Unlike a number of newly developed armour materials, Kevlar® has an extensive track record of on-the-ground use and professional testing. For many years, it has been shown to offer wearers the highest standards of ballistic protection available. According to comprehensive statistics, Kevlar® bullet proof vests have had a direct role in saving the lives of more than 4000 American police officers shot in the line of duty. We maintain a strong competitive advantage at SafeGuard ARMOUR™ by purchasing the raw materials and stock utilised in manufacturing Kevlar®. With large-scale buying capacities, we can fulfill orders of any size, from 1 piece to 10,000 pieces. Our highly experienced machinists can efficiently construct custom carriers and covers to match any client specification, avoiding the lengthy delays typical of other companies. Our client base includes organisations and enterprises in a wide range of public and private sectors. Our customer-focused account managers ensure that all orders are handled expeditiously, with experienced support available throughout the entire process. We make our entire range of body armour available to the public, offering free FedEx shipping on every piece shipped. At SafeGuard ARMOUR™ we have a fundamental conviction that all people facing frontline threats have a right to quality protection. Our industry-leading line of products puts high quality, affordable body armour in the hands of those who need it.